I loooooove nonsense. Nonsense in most of its forms tickles a part of my brain that nothing else can reach. So, back in 2016, I started a little thing on Facebook that I called "A day of nonsense", where I would share my own nonsensical offerings and invite others to share theirs. Like so many of the weird ideas I come up with; it failed. I saw a little mollusc on the road. It grew big and bigger still. Until it was so big I could no longer see past it. But yet it grew and grew. It towered so tall and stretched so wide. The mollusc became all I could see. Its size pushed me against a wall. Then... With a plop... I was inside. The mollusc stretched in every direction, much further than I could see. I floated. Suspended in its fluid. Flapping my arms like a space chicken. I was an individual, yet also one with the mollusc. Time went by. Lots of time... So much time that eons seemed to pass like days. Maybe they were days. Who would know? There wasn't anything that even resembled a day. Then I realised that time had no meaning, it didn't exist. 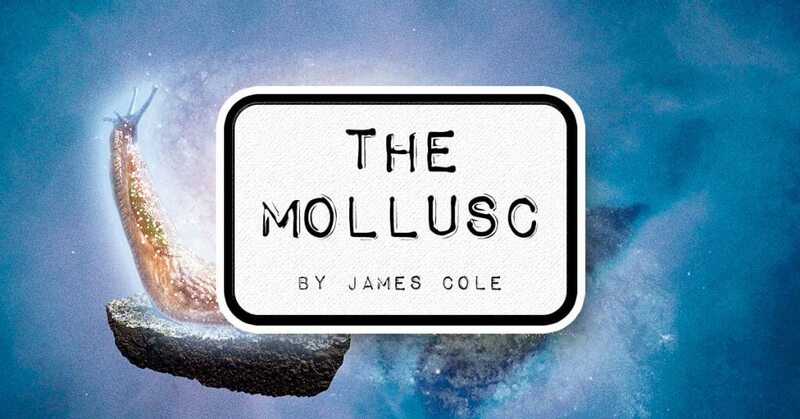 Life in the mollusc was eternal. And then I heard a pop. Followed by a gushing sound. Things became turbulent. I was sloshed around and suddenly. The sun. Clouds. The sky. I was laying on my back. On something... Solid. It was the ground. Oh, how I'd missed the ground. I sat up to see what had happened. Standing next to me was a little boy, covered in mollusc fluid. In his hand was a tiny pin. All it took was one little prick and the universe of the mollusc disintegrated completely. All around the soggy ground was the flesh that once formed the great mollusc. I gathered as much as I could and went home to cook it up for dinner.